New Jersey state senators Ray Lesniak and Jim Whelan have put forward a proposal which would allow Atlantic City online gambling operators to open their websites to players in other jurisdictions. As Senator Lesniak says it would open “up the worldwide market to us, the $30 billion Big Kahuna”. 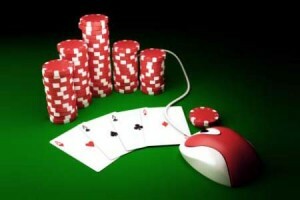 A new bill would allow New Jersey based online casinos to accept players from other regulated jurisdictions. It is not the first time that the state’s legislators have looked at this idea. Lesniak was pushing for it last year, before the first sites even went live. Lesniak’s new proposal would allow New Jersey’s licensed casinos to offer their games in other regulated jurisdictions, allowing the industry to reach out to the worldwide market. The bill would require payment processors to be licensed in the same way as the casinos and online gambling partners are. Between launching on November 21st and the end of 2013, New Jersey online casinos made $8.4 million.